Written on September 12, 2017 . Posted in Fine Arts. 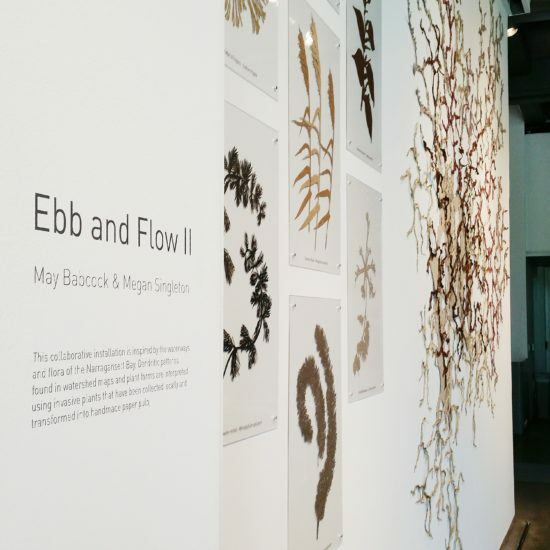 May Babcock (Critic, Printmaking) has a new collaborative installation, Ebb and Flow II, current on view at the Granoff Center (154 Angell Street, Providence), Brown University. 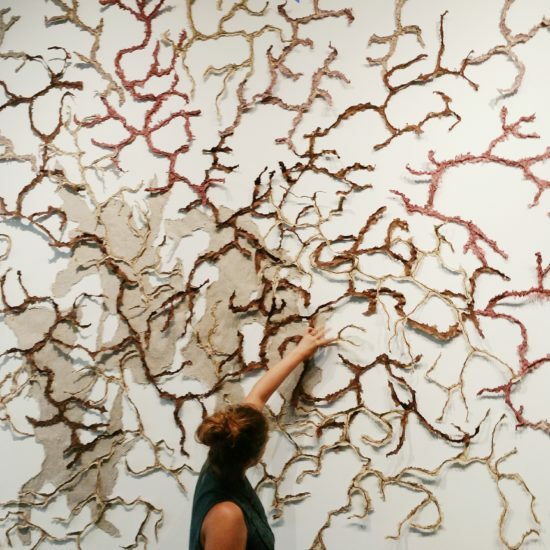 Babcock and her fellow artist Megan Singleton were inspired by the waterways and flora of the Narragansett Bay, dendritic patterns found in watershed maps and plant forms are interpreted using invasive plants that have been collected locally and transformed into handmade paper pulp. The installation includes the taxonomy and vector drawings of the vegetation. The laser cut drawings are made from the paper fiber corresponding to the plant each depicts. The exhibition is part of the Brown Arts Initiative and is on view now through June 2018 in the upper lobby of Brown University’s Granoff Center for the Creative Arts.